I beat Frog Fractions 2 this afternoon (or is that Frog Fractions 3? ), a game that’s much longer, more incoherent, and harder than its predecessor. It’s also the first game I’ve Kickstarted which has since come out, which is funny since it’s the only one whose release was obfuscated on purpose, rather than openly falling into some form of Development Hell. There is one part I must spoil, since it involves hardware: at some point, there’s a section which, out of the blue, requires a microphone or similar audio input. However, this section is optional, but the game doesn’t tell you that it is. I don’t use a microphone when PC gaming, and anyway, my offbeat setup makes hooking one up uniquely frustrating. Also, there were no alternative control schemes offered within the game for this part. To me, this particular section wasn’t very well thought out, but Frog Fractions 2 is, in many ways, not a friendly or approachable game. Though it is never unfair (aside from the microphone thing), it does demand a decent amount of imagination and cleverness from its players. Finding it within Glittermitten Grove is easy enough—I just used the same basic approach as one does with Frog Fractions—but once I got there, what confronted me was a place which got more and more difficult to deal with the further I dove in. Without giving away too much, Frog Fractions 2 is full of funny and weird moments, but in other aspects, it’s a different beast. On another end of the humor spectrum, I went through all three of the playable Phoenix Wright Ace Attorney: Spirit of Justice DLC episodes. The first, a full-length case titled “Turnabout Time Traveler”, was not nearly as good as its equivalent from the previous game. Instead of an orca at a musically-inclined aquarium, the client is a bride who claims to have relived her wedding reception thanks to a time machine. Oh, and of course, there’s been a murder, and she’s the main suspect. A few of the arguments made in court are sloppy and poorly worded in a way that typically happens in the worst Ace Attorney cases. On the other hand, a major highlight of this episode is the return of Larry Butz, a regular from the first Ace Attorney trilogy who has a tendency for getting into trouble. Phoenix, Maya, and Edgeworth are all present as well; just add Gumshoe and this would’ve been a full-on nostalgic reunion. However, perhaps it is for the best that Gummy didn’t appear, as I would’ve preferred a better case to accompany all the fanservice. The other two DLCs, brief alternate universe stories called “Phoenix Wright: Asinine Attorney” and “Apollo Justice: Asinine Attorney”, are much fluffier trifles. Phoenix’s tale centers around Pearl and her visit to Kuhra’in, and on the flip-side, Apollo’s features that kingdom’s Princess Rayfa visiting the United States. 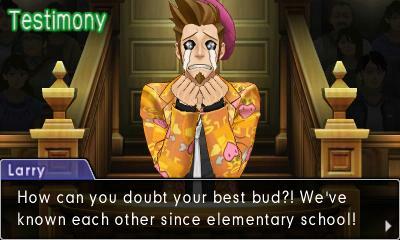 They are both very short and lighthearted, with Apollo’s episode being both slightly longer and generally better. Both also come with pixel-art 3DS themes, adding some more value to what would otherwise be a pair of overpriced tales. Before playing through all of that, however, I beat a couple of much longer games. First was Picross 3D Round 2, which is sort of misleading since, after the credits rolled, many more new puzzles unlocked. Round 2 is just as good as the original Picross 3D, which is to say that it’s one of the best picture puzzle video games one could ask for. The puzzles are plentiful and brilliantly conceived, and although there’s an additional level of complexity now, with specially shaped pieces, the game does a great job of easing you into things, as expected from this series. The other game was Dragon Quest Heroes: The World Tree’s Woe and the Blight Below, a crossover between Dragon Quest, a JRPG series with a solid reputation, and Dynasty Warriors, which is looked upon… a bit less fondly. Although the basic flavor of the latter is definitely present—in the forms of simple combat controls and massive swarms of enemies—this is also very much a Dragon Quest game in terms of aesthetics, polish, and, on the more negative side, some old-school JRPG menu clunkiness. Still, it was great fun carving through dozens of slimes and the like alongside Alena, Yangus, and other beloved characters from mainline Dragon Quest games, and it’s not like I mind a bit of mostly simple hacky-slashy fun every now and again. I also replayed the first Frog Fractions (it’s always a good time on Bug Mars) and continued on with Pokemon Sun, which, if anything, recalls the tedium of Pokemon Platinum. However, I hope that unlike with Platinum, I don’t end up taking nine months to beat it. Right now, I would guess that if I’m not at the halfway mark, then I’m very close to it. Also, this isn’t exactly a video game, but a few days ago, I dug out my old Tamagochi and started messing around with it, an experience I may or may not write more about later. The most amazing thing about it so far is that the batteries, which I believe are the original ones from the late 1990s, still work. As for what I’ll start next, I’m really not sure right now. With Persona 5‘s release date coming up, I’ve been eyeing the two Persona spinoffs I have left in my backlog, Persona 4 Arena Ultimax and Persona Q: Shadow of the Labyrinth. There’s also my dwindling pile of Xbox 360 games, Tales of Vesperia arguably being the longest amongst them. However, for the time being, I might be best off plugging away at Pokemon Sun, since I’ve been neglecting it lately. We’ll see how it goes. Bravely Default has taken me a long time to get through. Not only is it the longest RPG I have ever played on the 3DS—I did the vast majority of the sidequests and ended up clocking just over 140 hours—but I took more than a few breaks from it as I played, some of which lasted a week or longer. However, this past Thursday, I finally beat the last boss and saw the credits roll. It was one a hell of a journey, to say the least, with some intriguing twists on old formulae and a problematic ending. Here’s how it all went. The setting is Luxendarc, a world like one might find in many other JRPGs, and Final Fantasies in particular (it’s worth noting here that Square Enix is the publisher, and much of the team previously worked on Final Fantasy: The 4 Heroes of Light and the DS remakes of FFIII and FFIV). There are four elemental crystals whose health is maintained by priestesses called Vestals. When the village of Norende is instantly destroyed one day, the sole survivor, a shepherd named Tiz, teams up with Agnès, the Vestal of Wind, and her cryst-fairy companion Airy in order to set things right and possibly bring his town back. Their team soon expands by two more members: Ringabel, an amnesiac with a mysterious journal that seems to tell of future events, and Edea, who sees injustice in the actions of her father, the anti-Crystalist leader of the Duchy of Eternia. With Airy and “D’s Journal” as their guides, the ordinary boy, devout priestess, mysterious stranger, and rebellious princess traverse the world, awakening the crystals and fighting Eternia’s forces along the way. These forces are the primary source of “asterisks”, items which bestow new jobs to the party. Yes, in addition to the four crystals, another trait Bravely Default has inherited from the Final Fantasy series is the Job System. As it turns out, this game’s take on it is one of the best and most well-balanced ever conceived. Including the basic Freelancer, there are 24 jobs total, and although some are less useful than others, not a single one feels truly superfluous. Part of this is helped along by the fact that, in addition to the option of having a secondary set of unlocked job-specific skills equipped on a character (much like in FFV), there are many passive abilities that can be slotted in. These include basic attack and defense buffs, weapon affinities, status effect immunities, and automated actions like counterattacking. This dense variety of customization options can accommodate just about any sort of play style one can imagine. The battle system itself has a fair amount of flexibility. 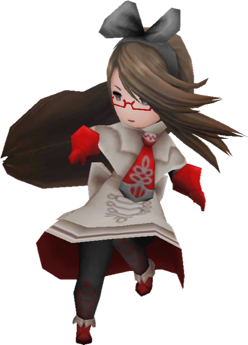 Bravely Default is a traditional turn-based affair, one in which all the party members’ commands for a single turn are dictated at once, then played out, Dragon Quest-style. Everything about the battles is quick and snappy—even summoning sequences are reasonably short—and later on, regular lower-level enemies can be dispatched instantly with a certain passive skill. As for the bosses, they are a decent enough challenge on normal difficulty and require a bit more strategizing than the random enemies, especially later on. At the heart of all this is the “Brave” and “Default” system. The former adds turns for any given character, and the latter stores them up. This system is useful both for stacking standard attacks and spells, as well as job-specific abilities which require multiple turns. On top of all this, there are special limit break-style attacks which are dependent on various factors, plus two additional options I completely ignored: summoned “friend” abilities and the time-freezing “Bravely Second”. If anything, this game proves that there is still room to innovate in the turn-based JRPG space, and does so with aplomb. Those two unused battle options I mentioned above are reliant on DS hardware-specific features: friend lists and sleep mode. 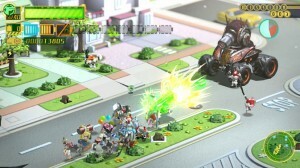 A third uses StreetPass to repopulate and speed the rebuilding of Norende in an ongoing minigame. Although this town-building mode adds both regular and exclusive items to special stores run by the wandering adventurers who serve as save points, this is another feature which can be safely ignored without greatly affecting the meat of the game. Outside of battles, the task of getting around from place to place is fairly painless. There are at least two areas which have a lot of ground to cover between save points, plus there’s no quick and easy way to fully heal at said points (for example, the “tent” item present in many Final Fantasies), but otherwise, things are manageable. The dungeon layouts are simple enough to navigate, thanks in large part to automapping, as are the towns and other story-specific areas. Speaking of the game’s non-dungeon locations, they are absolutely gorgeous, with a hand-crafted look reminiscent of illustrations from fantasy books; the intricately detailed towns of Caldisla and Ancheim are two notable highlights. The overall color scheme of the game is suitably modest, even in colorful places like Florem. This palette helps bright flashy effects, when they appear during certain events, really pop. Likewise, the character art, music, sound effects, and voice acting only stand out in the sense that they’re high quality, and blend in nicely with the overall feel of the game. The localization is generally outstanding, although I do believe that the (understandable) changes made to the “Bravo Bikini” outfit could’ve been better handled, mainly by tailoring certain bits of dialogue to make it sound less scandalous than it ended up being. Then there’s the deceptively minor features which enhance the whole experience. Chief amongst these is the Event Viewer, which allows the player to rewatch most any previously viewed scene. Neatly organized and easy to use, I relied heavily on the Event Viewer to get up to speed after most all of my longer breaks between play sessions. Another handy feature is Airy’s appearance on the bottom screen in the main and save menus, reminding you of where you are in the story and hinting at what mandatory event you should be doing next. There’s several other such niceties, including a handful of language options and an autosave feature that can be toggled at one’s leisure. You may have noticed that so far, I have avoided discussing the finer details of the story. Unfortunately, I can’t properly do so without spoiling the first truly major plot twist, as well as events toward the end. The spoiler-free version is that Bravely Default‘s story takes a turn which is highly unusual for a JRPG, and one that has done it no favors in the eyes of many players. The ending also adds a couple of new plot details that, while cute, are unnecessary and/or contradict what has come before it. In short, Bravely Default is much like Valkyria Chronicles in its marriage of a damn near perfect aesthetic and play experience with a flawed story. 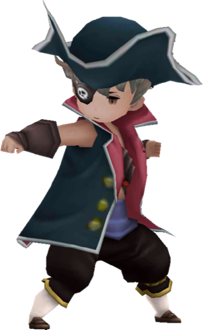 Bravely Default, which I finally, finally started playing about a week ago, has struck me so far as being a very different sort of JRPG, but also, more obviously, very familiar. The online/StreetPass features of this 3DS exclusive reminds me quite a bit of the Pokemon series, but also of Square Enix’s earlier The World Ends with You. The latter, which is one of my favorite JRPGs of all time, has a pin-based battle system, and some of the rarer pins could only be obtained by using certain online features of the DS. As this sort of thing is not up my alley (you could say I’m a purist when it comes to single-player games), I pretty much ignored Mingle Mode and managed just fine without it. Bravely‘s online features, on the other hand, get shoved in your face pretty frequently, at least early on, mixed in as they are with the rest of the tutorials. One of the biggest online components is a town-rebuilding minigame, progress in which is marked in real time—reminiscent of certain mobile phone sims—and dependent on how many other players you have registered within the game. Also prominent is the ability to summon special attacks from another player during any battle. Anyway, all this online stuff is both understandable, given the times, and, thankfully, largely ignorable, at least so far. I’m getting by just fine on my one default worker working on the town minigame while I plug away at the rest. This “rest” is where the familiarity comes in. The story takes place in a world where nature’s balance is maintained by four elemental crystals, which are now in trouble. If that by itself doesn’t scream Final Fantasy, there’s also the job system with its familiar classes, the items like Eye Drops and Phoenix Downs, the Akihiko Yoshida character designs, and the rousing score. There is enough different that it is not a complete clone of that older series, such as the hand-drawn look of the towns and the modest tone of the storytelling. This is particularly true when it comes to the game’s battle system, which, Final Fantasy V-style jobs aside, resembles those found in Dragon Quest and MegaTen titles more than FF’s. Its resemblance to non-FF series, though, is perhaps no less important. Bravely Default is a polished, modern take on what is essentially video game comfort food; while it’s different enough to be novel, it’s also familiar enough to be unintimidating. Despite a couple of overlong boss battles so far, I’m looking forward to seeing where this particular journey to save the crystals takes me. For a long time, one reliable source of video game comfort food for me was the Kirby series. However, when I first started Kirby Mass Attack on the DS more than three years ago, something about the flavor of it didn’t do much for me. I reasoned that this was because I had started it not long after beating Kirby Squeak Squad, and needed a break from the series in general for awhile. After picking up Mass Attack again sometime during my recent playthrough of Soul Hackers, it became clear that it was not me, it was the game. I really wanted to like it more than I did, and although the premise with the multiple Kirbies is interesting by itself, Mass Attack falls short. I’m not really sure why this is; the levels are fairly well-designed, as are the aesthetic elements and the minigames. Maybe it’s because there isn’t as much variety in the strategic elements as in a typical Kirby platformer. Enemies can’t be chomped and then shot out, or digested, their abilities absorbed. 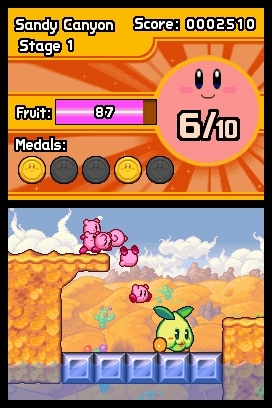 The mini Kirbies simply multiply in number, beat on enemies, push or pull things, and do a few other actions, depending on the environment. There’s also mostly dull quicktime events and one particular annoyance that reared its head late in the game, where you’re told that backtracking for certain missed collectables would be necessary to progress; this collectable would be the type of item that’d be purely optional in just about any other Kirby. Anyway, this game was all right, and certainly has its high notes, but in general, it didn’t click with me in the same way that previous Kirbies had. I still love Kirby as a character, but maybe not so much the games anymore, and I feel like another long break is in order. Speaking of gaming tastes changing, roguelikes is one genre which I will have to become much pickier about in the future. I started two of them, the action roguelike Legend of Dungeon and the more traditional Sword of the Stars: The Pit, back in 2014, played them on and off throughout 2015, and started 2016 with neither of them beaten. They are both more difficult than, say, Dungeons of Dredmor, especially The Pit—while I had made incremental progress in Legend of Dungeon (for various reasons), I had no such luck with the other game. Anyway, as it happened, I had a couple of days where I’d barely gotten any sleep the night before, and was thus not in the mood to play anything too story-heavy (or do much of anything productive). One day, I spent much of my time messing around with Tropico 5 in sandbox mode, but later, I found myself trying The Pit again, for the first time in months. It was still very hard, and almost unfair; like clockwork, difficult enemies would be crammed into the first room on the next floor while my available weapon choices were still piss-poor. By this time, I had 75 hours logged on the game, and had not made it anywhere past twenty floors (out of thirty) on Normal. I started contemplating trying the game on Easy and started poking around a few places, mostly the reviews and forums on Steam, to see what others thought about The Pit‘s difficulty, especially in comparison to other roguelikes. I was relieved to find that I was not alone in thinking the game too hard, and, later on, fired up a new Engineer playthrough on Easy. I ended up beating the game on this first run, which was spread out over a few sessions within two days. It soon went in the “Beaten” folder in my Steam library, and I moved on to other things, like wrapping up Kirby Mass Attack. One game which I recently played was quite different from anything else I’d encountered before: the FMV narrative puzzle of Her Story. Its interface comes in the form of a Windows 95-era desktop computer (complete with CRT reflections, if one so desires), which contains, as its main program, a searchable database of brief video clips, all of which are pieces from a series of interrogations of a woman whose husband has been murdered. The main interactions take the form of typing in search terms, watching up to the first five clips that pop up in the results, and tagging and/or saving clips for future reference. Around the time that you, as the protagonist searching through this ancient database, feel compelled to search for a certain term, you begin to suspect that all is not what it seems. The story that follows is strange and engrossing, and, although I have the basic idea down of what happened to the victim, there’s still a few unanswered questions by the end. Aside from a certain (seemingly intentional but kind of cheesy and understandably never pointed out) alternate approach to going through the clips, I really loved this one. The pacing of both the clips themselves and the discoverability of various chunks of the story is so good that I wonder how it was pulled off. Some quick site business: Comments are now disabled for all posts from now on. I very rarely got comments here anyway, and most of those that did pop up in the past were either spam, too dumb and/or trivial to approve, or had an uneasily ego-stroking quality about them. For those who left the few decent comments I got, thanks, and see you on Twitter. As with the old Gaming Roundups, which I addressed last time, another annual feature of this blog was a backlog assessment. However, unlike in previous posts, a photo of my current backlog will not accompany this year’s entry. Roughly half of my backlog nowadays is digital, so the best overview of the games I have yet to finish, or even start, is at the Backloggery. As you can see, as of this posting, there is… a good amount. Some of these are games I will never, ever go back to, usually either due to lack of interest or an annoying issue I have with the game itself (oh hi, Crayon Physics Deluxe!). However, the vast majority are games I genuinely want to play and beat. To start off my 2016 gaming, I chose a title which is representative of my favorite type of game: quirky, mid-tier, colorful, reasonably polished, and Japanese. 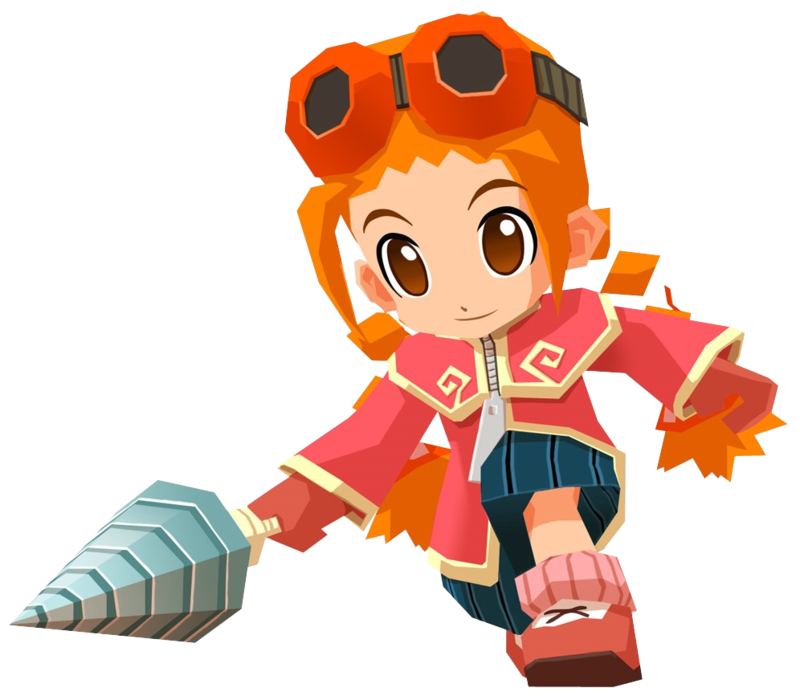 This game was Gurumin: A Monstrous Adventure, an action RPG of sorts by Nihon Falcom, the folks behind my beloved Ys series. I had actually gotten this game for free; before Valve (understandably) banned this sort of practice, publisher Mastiff gave away Steam keys in exchange for Greenlight votes and joining the official group. Seeing as how I would’ve voted for it anyway, signing up for this promotion was a no-brainer. Gurumin, which took me roughly a week to beat, was more or less what I expected: somewhat janky in places—the pacing of the localized voiced dialogue, the slightly imperfect platforming, the graphical glitches at the edges of the screen—but otherwise a decent little story-light game with lovingly-crafted graphics. Drill-wielding heroine Parin is a likable protagonist, and the world she inhabits is rather charming. It’s the type of very good all-ages game that I don’t see too often nowadays outside of Nintendo’s titles and a few other places, and certainly very rarely on PC. A couple of days after starting Gurumin, I fired up my first lengthy turn-based RPG for this year: Shin Megami Tensei: Devil Summoner: Soul Hackers. A 3DS port of a never-localized Sega Saturn game, this is, technically, the oldest JRPG I’ve played in some time, and it shows. Besides the usual low-budget MegaTen trappings, Soul Hackers‘ demon conversation system and certain other gameplay bits are a touch cruder than those that have come along since the late 90s. The story is very 90s as well: it takes place in a fully networked city where a Second Life-esque virtual world is being beta tested. The player character, a member of the hacker group Spookies, becomes embroiled in a conspiracy involving demons, summoners, and the city’s advanced intranet. It’s not bad, especially since there are “hacks” available that allow you to make the game less frustrating on the fly; I have the “automap” one on almost all the time. As of this writing, I’m still playing it, but given recent story developments, I hope to beat it sometime next week. The third game I started this year, which was also the first one beaten, was Super Puzzle Platformer Deluxe, a very different kind of falling block puzzle game. The basic conceit is that, instead of moving or rotating the pieces that fall, you play a little person inside of the well who uses its gun to destroy individual or adjoining blocks of a single color. A row of deadly spikes on the well’s bottom incentivizes you not to clear the board, and, in a similar bending of typical match-three mechanics, there’s no real penalty for stacking blocks too high, at least in the standard single-player mode. Throw in various obstacles, such as cannons which sometimes fall in place of blocks, a few power-ups, unlockable outfits and challenge stages (neither of which I’ve paid much attention to), and collectible gems, and that’s pretty much the game. It’s a neat combination, and although the requirements to “beat” each stage are somewhat dull (accumulate a set number of large gems over an unlimited number of games), it also makes the game a bit less daunting than certain other falling block games I could name. Even so, I don’t think it has what it takes to join the lofty ranks of recent-ish hybrid puzzlers like 10000000 or Puzzle & Dragons. There is too little variety in the blocks, for one thing—it would’ve been great to see the difficulty slowly ramped up in the form of additional block colors, instead of trickier types of cannons, etc. falling from above. The platforming end of things gets kind of samey after awhile, too. Although the game is fun in short bursts, in general, “Deluxe” seems like a bit too generous an adjective to attach to its name. So, that’s where I stand so far in my 2016 gaming. There’s still a lot left, of course, particularly when it comes to JRPGs. My main worry in all this is that the games themselves will become chores more than diversions, but hopefully I can pace myself so that won’t be a problem. Wish me luck! All entertainment mediums are strange in certain ways, but television is one of the weirdest. Since TV producers typically make their revenue from advertising, there’s pressure to get as many eyeballs as possible watching any given program; after all, the higher the ratings, the higher the ad rates can go. This leads to shows—including non-fiction ones like news broadcasts—using sensational hooks to draw viewers in, often exaggerating situations to no good effect. TV becomes a shallow caricature of regular life, but a compelling one. Such tendencies lead to oversimplified ideas, inadvertent fame, and other problems, and the smaller the community in which these things take root, the faster they spread. 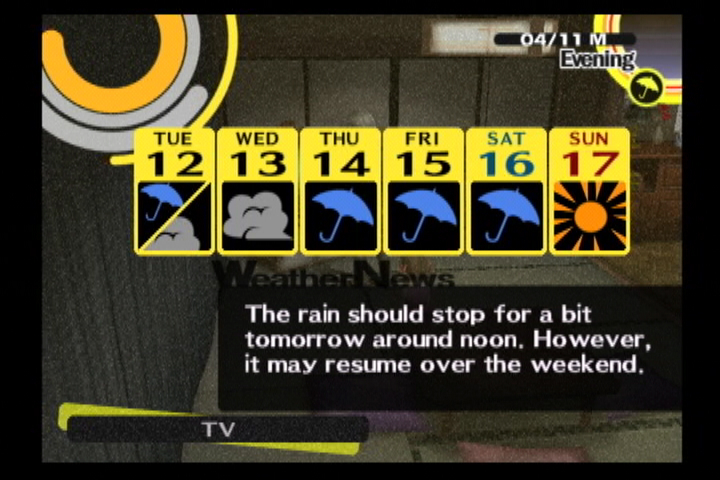 These problems and others are at the heart of Shin Megami Tensei: Persona 4. Set in a small Japanese town called Inaba, Persona 4 opens much the same way its predecessor did, with the protagonist (for the rest of the review, we’ll call him Satoru Minami, which is what I named him in-game) being introduced to the Velvet Room, where he is told that he has one year to unravel a mystery that he will soon become involved in. As Satoru gets settled in at his uncle’s house and new school, this mystery soon manifests in the form of murders that occur on foggy nights. There is also the matter of the Midnight Channel, an urban legend which claims that you can see your romantic match if you stare into a turned-off TV screen on a rainy night. It is on one such night that Satoru discovers that he can put his hand into the TV screen. This is how Satoru’s adventures in the “TV world” begin. The TV world is an odd place which is perpetually foggy and overrun with aggressive beings called Shadows. It is divided into wildly different regions that exaggerate concealed personality traits and feelings, sometimes to outrageous effect. This world is where the vast majority of the RPG part of the game takes place. The battle system is a refined version of the “press-turn” ones from previous MegaTen games which, in a welcome change from Persona 3, allows Satoru to directly control his teammates during battle whenever he wishes. 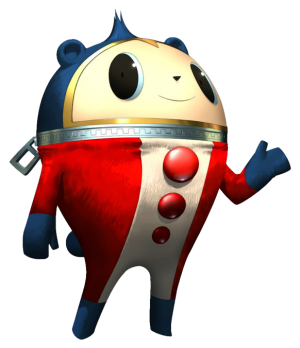 The Personas themselves are magical animas whose abilities can be called upon in battle; unlike the other party members, Satoru’s Persona ability is the “wild card”, which allows him to obtain, fuse together, and hold multiple Personas. Weather conditions in the real world determine if certain rare monsters will show up in the TV world on a given day, and in addition, there are “fusion forecasts” which change day to day and affect what bonuses are granted when creating new Personas in the Velvet Room. Outside of the TV world, Satoru attends high school, and can go shopping, take on part-time jobs, read books, go out to eat, fish, do favors for people around town, and, most importantly, get to know the people around him a bit better. Forming and improving your “Social Links” with these people—a group which includes fellow party members, as well as family, classmates, coworkers, and others—leads to stronger Personas created through fusion, and unlocks other in-dungeon benefits. They are also miniature stories within the wider scope of the main one, often helping to illustrate why certain characters are the way they are, and showing how they grow and change as people. My one major regret upon reaching Persona 4‘s “good ending” was that I did not get to finish more of these tales. Speaking of Social Links, the characterization is some of the most true-to-life that I have seen in any JRPG, including Persona 3, in some time. The characters all act their age and are clearly imperfect; this latter bit ties into a very important theme of the overarching story—self-awareness and acceptance—but is refreshing nevertheless. As for the former, the strongest example is Nanako Dojima, a normal seven year old girl without any of the precociousness that plagues so many children in JRPGs. She loves singing along with commercial jingles, thinks platypuses are awesome, and struggles with her feelings toward a workaholic dad who doesn’t have much time to devote to her. She is, in many ways, the heart of Persona 4, and ended up being my favorite character in the game. 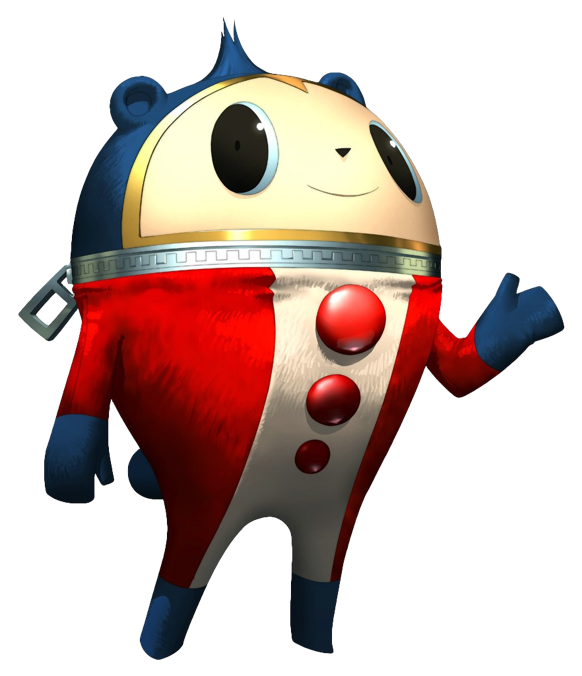 If Nanako is the heart of the game, the soul is Teddie, a cartoon-like bear in a clownish outfit who is roughly the shape of a snow cone. When you first meet him, he is the only friendly resident of the TV world, and shares some of its flamboyance through his personality. Seeing him grow, form friendships, and come to terms with his place in the grand scheme of things is fascinating to watch. While the characters and their stories are fascinating, the major downside of Persona 4‘s storytelling, strictly from a practical perspective, are the frequently long cutscenes. Save points break these up regularly, though it can sometimes take between thirty and forty-five minutes between each one. While I had enough time blocked out to consume these scenes as they came about, this setup became problematic during the game’s single most heartwrenching event, during which a lengthy series of dialogue choices has to be gone through—choices for which the answers were not as straightforward as they might seem—in order to determine which way the story goes. Make even one mistake, and you’re put on a short path toward a bad ending. Oh, and prior to this set of choices, there’s some thirty minutes of drama, the impact of which is ultimately lessened by going through this section multiple times in order to get the “correct” answer. 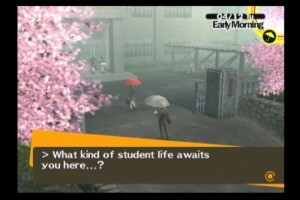 I’ve been told that the annoyance of this section has been lessened in the PS Vita port, Persona 4 Golden, through the addition of a save point, but I can’t confirm this myself. Still, that’s my only major gripe about what’s otherwise a near-perfect game. The poppy soundtrack is just as wonderful as Persona 3‘s. As with many of Atlus’ PS2 games, the 3D graphics are serviceable, but the 2D ones, which include character portraits, the menus, and various comic book-like effects, are frequently inventive and always pleasing to the eye. The localization work is another outstanding Atlus USA production, but the voice acting, while good overall, is not quite up to their previous standards. Some of Chie’s lines, not to mention most of Margaret’s, are delivered in a wooden fashion, and Naoto’s battle dialogue is unnecessarily over the top. However, the voice actors for Kanji, Teddie, Nanako, and Adachi turn in excellent performances all around. This game’s a keeper, and is one that I will likely revisit sometime in the future. Have to complete those other Social Link stories, after all. I wasn’t excited for E3 this year. Of the games I knew that were coming out, there wasn’t much that I absolutely needed to see more of, and my anticipation for the as-yet-unannounced was low. It turns out that I was right to skip the Microsoft and Sony press conference streams, as there was practically nothing of interest to me in the liveblogs that I read (well, there was Halo 4, but I’m doing my best to avoid spoilers for it at the moment). The following day, I caved and watched Nintendo’s presser, but found it to be sorely lacking. After several days’ worth of coverage, only one new game piqued my interest, and that was “Project P-100”, a crowd management action title, directed by Platinum Games’ Hideki Kamiya, that seems to have gotten barely any attention from the press at all. This game is similar to his earlier Viewtiful Joe in its Super Sentai aesthetic, and the basic concept of controlling a crowd that turns into weapons to beat giant villains is pretty awesome. The one thing about this game that came as a disappointment was that it is for WiiU, a system I don’t have any interest in getting. Other than that, and a welcome reminder that the 3DS Paper Mario exists and is on its way, there wasn’t anything for me. In the meantime, I’ve been continuing on with my main personal goal for 2012: reducing my backlog as much as possible. April is the current record-holder month with seven games beaten, including one (Soul Nomad & the World Eaters) that took me nearly 45 hours, and the two Pinky:st DS titles that I reviewed in my previous post. Some highlights these past few months include the DS remake of Dragon Quest VI, massively moe and just plain charming doujin shop sim/dungeon crawler Recettear: An Item Shop’s Tale, bare-bones browser-based JRPG Parameters, fantastic expansion pack Tropico 4: Modern Times, and Pokemon White Version, which I’ve written about before and was top-notch all around. There was also Halo: Combat Evolved Anniversary, played co-op with my Halo-detractor husband. We had a good time, playing the game with the new graphics and old soundtrack, though I have some quibbles regarding the former. The new maps are brightly lit compared to the original versions, which, along with the whole co-op thing, made the game’s scariest moment a bit less so. Also, some of the new character models were lacking, especially Sergeant Johnson and 343 Guilty Spark. More than anything, I’m now cautiously optimistic about Halo 4. I also played a couple of platformers, namely The Legendary Starfy on DS and Ratchet & Clank for PS2. Starfy was a decent game with a lot of character, but it was also much wordier than I expected, with more cutscenes than is average for a platformer. Ratchet is not as good as its first-party brethren Jak & Daxter: The Precursor Legacy and Sly Cooper & the Thievius Raccoonus and also has some irritating bugs. However, the weapon/gadget system at its heart is well thought-out, and the storytelling, which is similar in tone to Jak and Sly, is enjoyable enough. There have been a smattering of others, including the two Izuna games, mystery dungeons with an emphasis on humor and fanservice, and, on the negative side, vague endings that lack so much as a credit roll or “The End” text before dumping the player into Postgame Territory. I also beat the puzzle game RUSH and attempted to play EDGE, but the bad controls and mediocre design of the latter led me to quit. Finally, over the weekend I played through Breath of Death VII, a parody RPG that resembles an early Dragon Quest and contains jokes and references that range from the silly to the sillier; despite some design quirks, it’s well worth a play if you love the genre. That’s it for what I’ve beaten these past few months. As for what I’m actively playing right now, I’m approaching the end of “The Journey”, aka the main game in Persona 3 FES. This RPG has been unlike most others I’ve ever played, in a good way, and I hope to write about it at length later on. I’m also playing Dance Dance Revolution again (SuperNOVA 2, specifically); after a long ordeal, a couple of new, working pads arrived yesterday. Once I wrap up “The Journey”, I plan to put Persona 3 FES aside for awhile before taking on the bonus episode “The Answer”. Right now, I’m considering starting de Blob 2 and/or Dragon Quest Monsters: Joker 2 as my next game (or games). As usual, we’ll see.